The above has become the latest routine. Fill the tray w/ toys in the morning then watch the cubes/guys melt in sink-water that night. 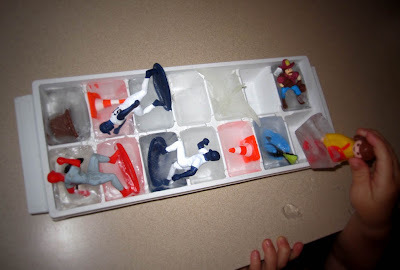 In the winter we left the trays outside to see how long it took to make ice (sneeky science project alert) but adding the knickknacks is a new twist.